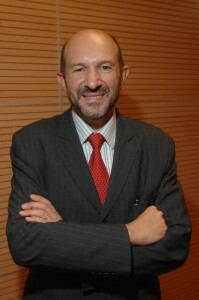 Maurizio Ambrosini He is Full Professor of Sociology of migration at University of Milan. He also teaches at the University of Nice-Sophia Antipolis. He is the Director of the review Mondi migranti and the Coordinator of University of Genoa Summer School in Sociology of migration. M. Ambrosini Non passa lo straniero? Le politiche migratorie tra sovranità nazionale e diritti umani, Cittadella, 2014. Europe: No Migrant’s Land? (editor), Ispi-Epoké, 2016. Irregular Migration and Invisible Welfare, Palgrave, 2013. Implementing Human Rights: Civil Society and Migration Policies (with Joanne van der Leun). Introduction to the special issue, in “Journal of Immigrant and Refugee Studies”, vol.13, n.2, 2015, 103-115.
in italiano: Immigrazione irregolare e welfare invisibile, Il Mulino, 2013.